Welcome to the August 8, 2014 edition of ACM TechNews, providing timely information for IT professionals three times a week. U.S. National Institute of Standards and Technology (NIST) researchers have demonstrated an ion duet that could be scaled up in size and configured to model quantum systems of a complexity that far exceeds traditional computer simulations. The duet also could be used to perform logic operations in future quantum computers, or as a quantum-enhanced precision measurement tool. The researchers were able to place two beryllium ions located in separate zones of an electric-field trap into an entangled state, which is an important resource for quantum technologies. This breakthrough marks the first time ions in separate zones have been entangled by manipulating their electric interactions. "To do useful simulations we'll need versatile traps with more than two ions, and making traps using the same technology used to make computer chips gives us this capability," says NIST researcher Andrew Wilson. If the researchers can extend the new module to make a two-dimensional network of a few tens of ions, it would be powerful enough to perform useful simulations of phenomena that are extremely difficult to model on today's most powerful traditional computers. IBM researchers are experimenting with a room where executives can go discuss business problems with a version of the Watson supercomputing system. The prototype system is designed to explore how software that can understand and participate in human interactions could "magnify human cognition," according to IBM's Dario Gil. The lab has a giant display taking up one wall, and several microphones installed in the ceiling. The Watson system instantly transcribes everything said in the room, providing a detailed record of any meeting, and allowing the system to react to commands addressed to Watson. In a recent demonstration, Watson helped researchers role-play as executives to generate a short list of companies to acquire. During the discussions, Watson ran a series of decision-making algorithms and made decisions on which companies to add to or remove from the list. The researchers also are exploring how the system can be used to log the relative contributions of different people to a discussion, or to produce a fact-checking report after a meeting that highlights incorrect statements. "Watson could enhance collective intelligence by facilitating turn taking, or having a neutral presence that can help prevent groupthink," Gil says. Researchers at the Virginia Polytechnic Institute and State University Transportation Institute are exploring the idea of moving traffic signs from the side of the road and into vehicles via dashboard screens. An adaptable in-vehicle display would automatically warn drivers when to stop at an intersection and what other actions to take, if necessary. Alexandria Noble, a master's student in the Department of Civil and Environmental Engineering, is spearheading a proof-of-concept adaptive stop-yield study with funding from the U.S. Department of Transportation. She recently finished a 17-week closed experiment at the Virginia Smart Road that involved dozens of participants in cars outfitted with small, global positioning system-like dashboard screens that would alert drivers on either side to stop or yield, and proceed through an intersection. The entire transportation system would need to be overhauled to deploy such technology in the real world. The project directly ties into the institute's growing push into connected-vehicle technology. "While a relatively new area in the transportation realm, adaptive stop/yield signs have the potential to be a long-term solution for not only minimizing traffic problems experienced on increasingly congested roadways, they may also help mitigate negative environmental impacts," says institute director Thomas A. Dingus. Researchers at University College London (UCL) have developed a mathematical equation that can accurately predict how happy people will say they are from moment to moment based on recent events such as rewards received. The team tested the equation on more than 18,000 people worldwide, and the results show moment-to-moment happiness reflects how well things are going as well as whether they are going better than expected. The scientists had 26 subjects complete a decision-making task in which their choices led to monetary gains and losses, and repeatedly asked them to answer "how happy you are right now?" The researchers also measured their neural activity during the task using functional magnetic resonance imaging, and from the data built a computational model in which self-reported happiness was related to recent rewards and expectations. "We expected to see that recent rewards would affect moment-to-moment happiness but were surprised to find just how important expectations are in determining happiness," says UCL's Robb Rutledge. "In real-world situations, the rewards associated with life decisions such as starting a new job or getting married are often not realized for a long time, and our results suggest expectations related to these decisions, good and bad, have a big effect on happiness." The Alaska Native Science & Engineering Program's (ANSEP) Summer Bridge program included more than 20 high school students that took college-level math courses and interned with science, technology, engineering, or mathematics-oriented agencies or companies. "[The program] provides students right out of high school an opportunity to put their feet on the ground, roll up their sleeves and go right into their career path," says ANSEP founder Herb Schroeder. For example, Havan Shaginoff, who will be attending the University of Alaska-Anchorage in the fall, spent June and July working in a microbiology lab alongside wildlife biologists to examine genetic samples of a regional bird at the U.S. Geological Survey's Alaska Science Center. Participating in the Summer Bridge program helps students familiarize themselves with college life and a professional environment, according to Schroeder. "It helped me see how college is going to be," says ANSEP Summer Bridge participant Randall Friendly, who spent several weeks working with the Fish and Wildlife Service in the Kodiak National Wildlife Refuge, studying brown bears. "It helps you get used to that kind of workplace and that environment." Schroeder believes the sooner students acquire in-the-field experience in the career industries they wish to pursue, the better. University of California, Santa Barbara researchers are using Wi-Fi signals to look through solid walls and see what is on the other side. The patented technology lets users visualize the space on the other side and identify not only the presence of occluded objects, but also their position and geometry, without any prior knowledge of the area. Furthermore, it has the potential to classify the material type of each occluded object such as human, metallic, or wood. The researchers want to use this imaging technology with automated mobile robots in situations where human access is difficult or risky, and the ability to ascertain what is in a given occluded area is important, such as search and rescue operations for disasters. The technology also can be implemented on a Wi-Fi-enabled device or a Wi-Fi network, where it can be used to monitor the presence and location of objects and people throughout a built space, which opens possibilities for spotting intruders, or watching over senior citizens. In addition, the technology can provide information for smart building applications to optimize services that depend on the level of occupancy of a building. In the future, the system could be modified to be used in preliminary body scans and health monitoring via a Wi-Fi-enabled handheld device. University of Maryland (UMD) researchers have developed Epiviz, a new Web-based tool that allows scientists to quickly and easily visualize and compare large amounts of genomic information resulting from high-throughput sequencing experiments. Epiviz offers a major edge over conventional genome browsers because it integrates with the Bioconductor, which is open source analysis software used by genomic scientists. "Prior tools limited visualization to presentation and dissemination, rather than a hybrid tool integrating interactive visualization with algorithmic analysis," says UMD professor Hector Corrada Bravo. Epiviz's basis on the Bioconductor infrastructure means the new instrument supports many next-generation sequencing techniques, such as ChIP-seq, RNA-seq and DNA methylation analysis. The tool deploys multiple visualization techniques for location-based data--such as genomic regions of interest--and feature-based data--such as gene expression--using interactive data visualization techniques that are unavailable in Web-based genome browsers. The UMD researchers used Epiviz and Bioconductor to find consistent regions of DNA methylation changes in colon cancer samples generated by the public Cancer Genome Atlas project and similar gene expression in these regions of DNA methylation changes in type of cancer types. The outcomes agreed with earlier experiments performed by Johns Hopkins University scientists in collaboration with Corrada Bravo, showing DNA methylation changes across large regions in the colon cancer genome. As part of the White House's Climate Data Initiative, public and private organizations are committing resources to climate change researchers working to improve and secure the global food system. For example, IBM recently announced it will give scientists free access to dedicated supercomputing via the company’s World Community Grid platform. Microsoft and Amazon Web Services (AWS) also are contributing cloud computing and supercomputing resources, respectively. IBM's World Community Grid provides computing power to researchers by harnessing and redistributing the unused cycle time of volunteers' computers and mobile devices. Meanwhile, the Microsoft Azure for Research program will grant 12 months of free cloud computing resources to 20 organizations selected from a group of applicants. Microsoft also will collaborate with the U.S. Department of Agriculture to co-host a series of workshops and an app-athon with the goal of demonstrating the value of open-data and data-driven tools to improve climate preparedness and resilience in the agriculture sector. The two organizations also will launch a climate-change-focused Innovation Challenge to facilitate the development of new tools and services that harness available data. AWS is offering the AWS cloud to researchers, allowing them to quickly analyze climate data and increase their understanding of climate change. AWS also will offer more than 50 million core hours of free access to supercomputing resources. Graphene oxide sheets can change structure to become liquid crystal droplets spontaneously and without any special equipment, according to researchers from Monash University. The team placed graphene sheets in a solution to process it for industrial use, and they discovered that graphene behaves like a polymer--changing shape by itself--under certain PH conditions. The researchers used an advanced version of a polarized light microscope based at the Marine Biological Laboratory in the U.S. to detect the minute changes in graphene. Mainak Majumder from the Faculty of Engineering says graphene droplets change their structure in response to the presence of an external magnetic field, which suggests they could be used for drug release applications. Majumder also notes graphene does not contain any magnetic properties. "This combined with the fact that we have proved it can be changed into liquid crystal simply and cheaply, strengthens the prospect that it may one day be used for a new kind of drug delivery system," adds Majumder. The Faculty of Engineering's Rachel Tkacz says the discovery also could clear a path for new disease detection techniques. "Now we know that graphene-based assemblies can spontaneously change shape under certain conditions, we can apply this knowledge to see if it changes when exposed to toxins," she points out. Northeastern University researchers are working on the Frontier project, which includes researchers from Boston University, the Massachusetts Institute of Technology, and the University of Connecticut. The Frontier project will develop mechanisms to help make the cloud as secure as possible. The researchers will deploy and test the mechanisms as part of the Massachusetts Open Cloud, a partnership of state government, industry, and universities that is designed to create a new public cloud computing marketplace to help spur innovation. The researchers have developed a new method for computing on encrypted data with the potential to change the fact that conventional methods of encryption leave the data useless, notes Northeastern professor Daniel Wichs. "I can send you encrypted data, you run the computation and then send me back the encrypted answer," Wichs says. However, he also says while this breakthrough represents great promise, the approach is still too inefficient to be widely useful. The researchers want to provide a new level of security to cloud-based computing by developing new theoretical methods for encrypting data and performing computations on that data. "We want to take a standard program and convert it to work on encrypted data," Wichs says. A new breed of mobile wireless device does not need a battery or other energy storage to send data over Wi-Fi. A team at the University of Washington has developed prototype gadgets that obtain power by using the Wi-Fi, TV, radio, and cellular signals that are already in the air. This is accomplished by having the devices communicate without actually transmitting. The researchers' devices send messages by scattering signals from other sources--in other words, they recycle existing radio waves instead of consuming energy to generate their own. For example, to send data to a smartphone, the prototype switches its antenna back and forth between modes that absorb and reflect the signal from a nearby Wi-Fi router. Software installed on the phone would allow it to read the signal by observing the changing strength of the signal it detects from the same router as the battery-free device soaks some of it up. The approach could enable engineers to extend the scope of the Internet and computers into corners of the world they do not currently reach. The devices could make it easier and cheaper to widely deploy sensors in the home to control heating and other services. 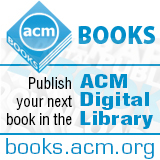 A paper on the devices will be presented at the ACM Sigcomm conference in Chicago in August. Heriot-Watt University and University of Southampton researchers show that consumers can save money on their electricity bills and negotiate better rates by pooling their purchasing power with similar groups of customers to switch energy suppliers. They propose a model to help consumers mobilize into more efficient buying groups and minimize switching risks. Heriot-Watt's Valentin Robu notes electricity suppliers usually anticipate the amount of electricity required and pass on premium prices to customers to cover any risk affiliated with under- or overbuying, allowing them to reap profits. "Our work shows that, by grouping together, consumers can gain size and market power and reduce their risk and access better prices," Robu says. The new model has consumers begin with a prediction-of-use tariff that anticipates future consumption using their past data. Based on these patterns, they can opt to join one of many different types of buyer groups with different tariffs, including predictable and unpredictable groups. The research was tested using consumption data from 3,000 British consumers and artificial intelligence (AI) and coalition theory methods to find the optimal solution for each household. The ultimate goal of the research is using AI to design tools that enable consumers to choose their best tariff and let them identify others to group with that have efficient consumption patterns. Fraunhofer Institute researchers are developing a human-machine communication system, comprised of a cloud-supported, wireless network of sensors, that will make it possible to detect damage to rail vehicles before an accident occurs. The new system will also alert engineers when trains need service. "We want to root out any damage early on and move away from maintenance at set intervals in favor of condition-based maintenance," says Fraunhofer researcher Michael Niedermayer. As part of the system, every axle and undercarriage on a train is equipped with small radio sensors that collect data on the condition of wearing parts. The data is then transferred to an online maintenance cloud for measurement and analysis. "Here we have sensor nodes that can capture even the slightest variations in vibration," Niedermayer says. "We call this in-depth diagnosis.” The method allows repairs to be made before anything breaks and causes significant damage. The goal is to provide train engineers with all relevant data, diagnostic technicians with detailed measurement data, and designers with measurement statistics covering wear to all parts, enabling them to improve the technical design of the next product generation. Furthermore, "since the system is intended to work without batteries, the algorithms mustn't drain unnecessary energy by using up excessive computing power," Niedermayer says.